NWEA, a not-for-profit provider of assessment solutions headquartered in Portland, Oregon, has announced the launch of its Educators for Equity Grant Program, a new initiative aimed at helping schools foster academic growth and achievement for pre-K-12 students who face systemic barriers to academic opportunities. Educators, including teachers, principals, and education specialists, may apply for a grant award for their schools or districts to fund programs and activities that directly support the academic progress of students. Fundable activities can include curricula as well as programs that support student engagement in the classroom; help facilitate dialogue amongst educators, students, and families about high academic expectations; and provide needed academic supports such as academically-focused afterschool programs. For 2019, at least three grants of up to $10,000 will be awarded to schools, school districts, and nonprofit organizations in support of initiatives and programs designed to advance the academic development of underserved students. To be eligible, applicants must be either a public school or not-for-profit organization in the U.S. serving students from pre-K through 12th grade. Applications will be evaluated on the extent to which the award will benefit students who face systemic barriers to academic opportunities, including students who identify as black or African American, Hispanic/Latino, Native American, or Asian/Pacific Islander; students learning English and speaking a language other than English fluently; and students experiencing economic disadvantage. Programs also will be evaluated based on evidence base, equity focus, cultural relevance, and academic focus. 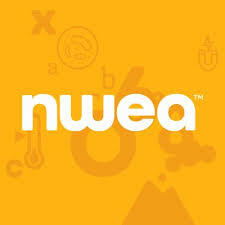 Use of NWEA products and services is not required for eligibility and will not be considered when selecting grant recipients. The deadline to apply for a grant is June 30, 2019.